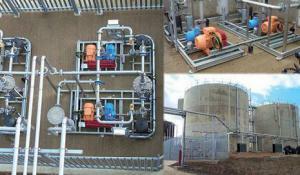 Utile Sliding Vane Compressors / Pumps are ideal for handling aggressive gases, including Digester, Landfill and Biogas applications and are used in wastewater treatment (for anaerobic digestion), small biogas plants and farm digesters. 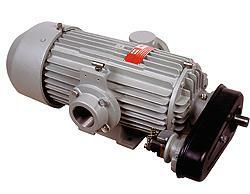 Utile compressors have been manufactured in UK since 1914 and are well suited to the environment in Australia. 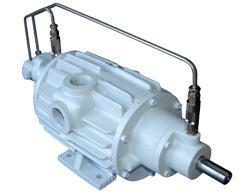 They are robust, reliable, cost effective and simple to maintain. The running costs of vane compressors are much lower than other types of compressor, as they have less power absorbed (giving the lowest whole life costs) and do not require a constant water supply to them. 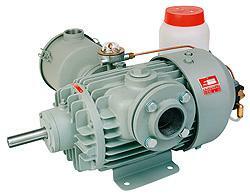 Utile pumps are currently used by the majority of Water treatment companies in the UK. Also designed and suitable to operate in 50C ambient conditions, all units can be packaged on galvanised steel skids, complete with motor, pre-piped and form a package compliant with ATEX, DSEAR and IGEM/UP/2 standards. Handling sludge? Read about advantages of gas mixing over slurry mixing and our example of the process utilizing efficient equipment and modern technologies.